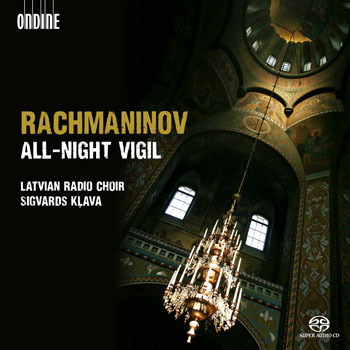 The spectacular recording of Rachmaninov's All-Night Vigil (ODE 1206-5) from the Latvian Radio Choir under Sigvards Klava is one of our recent highlights. We are delighted that Gramophone shares this enthusiasm by choosing it as their Recording of the Month in their February issue. "This is a sublimely beautiful yet rapturous recording".